Why "Umami"? Umami is a Japanese term, which describes the fifth taste (the other 4 being salty, sweet, bitter, and sour). Umami refers to the subtle, rich flavor that adds depth and complexity to foods, making all of the other flavors meld together and sing. Similarly, at Umami Interiors, we strive to subtly bring all of the elements of your space together with finishing touches like window coverings and pillows. The perfect draperies can bring your whole room together and make it feel complete. Stitch is a highly regarded firm that provides custom window treatments, soft furnishings, upholstery services, built-ins, wallcoverings, hardware and printed fabrics for homeowners and interior designers throughout the San Francisco Bay area. Precisely designed, fabricated and installed; each design is uniquely individual and functions as beautifully as it looks. Whether contemporary or traditional in style, custom curtains, blinds and unique window treatment solutions are our specialty. *Hunter Douglas Authorized Dealer* Shades of Marin is a proud, family-owned business serving the San Francisco Bay Area since 1953. You will find more than great window fashions with us. You will find great people who have the knowledge and expertise to help you put it all together, from design to installation. We are known for exceptional product knowledge and great customer service. We offer the complete Hunter Douglas window covering product line and also feature drapery, roman shades and awnings. We are experts in motorization of all types of window coverings. Shades of Marin is dedicated to your complete satisfaction. Call us today to schedule an on-site consultation. Blind Ambition has you covered - from basic blinds and shades to premium and exclusive window coverings. You can choose from quality products by Hunter Douglas, Conrad, Horizons and others with competitive pricing. You'll receive the highest level of professional and personalized advice and service - from choosing your window coverings to installing them. Contact us with your window measurements or drop by our San Francisco South of Market showroom. I offer my clients a unique experience in purchasing custom window treatments to beautify their home. I can help you choose the perfect products & fabrics to make your house into the home you want it to be. $100 off first $1000 dollar purchase! Bay Area's Premier Window Treatments- Visit Our SF Showroom! Ulinkly is for affordable custom-made luxurious window curtains. We partner exclusively with top premium factories(top 1-2 sellers in international market) selling high-end custom-made curtains with top quality and hundreds high-end styles (Drapery, Voile and Valance) selection in North America. No middlemen, no retail mark-up, wholesale price. We promise you our price will be at least 50% lower than the retail price for similar high-end custom-made curtains sold in U.S. We do also provide free international shipping global and guarantee 100% refund. CWI offers the very best in fabrication of fabric based interior and exterior design elements. Our workroom is capable of handling any project, big or small. Whether you are doing a whole house makeover or just a couple of throw pillows to give new life to an old couch, we would love to work with you. I specialize in custom window coverings to enhance the beauty & functionality of any room, any design. Through a home's windows one can glimpse the soul of the space. I'm inspired by the the sense of comfort and happiness that can be achieved from a functional and beatifully designed window treatment. The total transformation that custom window treatments can provide to an interior is awe inspiring! Through texture, color and material we can create a whole new view. Through a complimentary consultative process I will meet with you in your home, assess your unique window covering needs, show you a wide array of samples, take professional measurements, and create your unique custom window treatment design plan. I am a Smith & Noble www.smithnoble.com In Home Designer bringing the show room to your living room. Interior ReDesign is the art of rearranging your living space with the furnishings and treasures you already own. Our ReDesign Services will blend your personality and furnishings to create a more functional and livable space, while complimenting and enhancing your lifestyle. Our Kitchen and Bathroom Remodeling Services creates the concept and vision that you always dreamed of. We capture all your special elements in the details of beautiful textures, colors, and lighting. Your home's new design will not only compliment your style and taste, but will also reflect a creative infusion of new balance and rejuvenation, while achieving true Visual Harmony. Providing All Types of Window Treatments to Commercial and Residential Customers in Northern California for over 25 years. SAN FRANCISCO & MARIN COUNTY. Specialists in Home Automation and Motorization, Solar Energy Efficient Options, Custom Fabric Window Coverings, Shutters, Natural Woven Textures. Exterior Shades, Hunter Douglas, MechoShades. Commercial Products. I believe every home should blend the family's lifestyle, taste, and flow that works for them and each home has its own personality, and I consider that when working with my clients. I’ve always had a passion and vision for design, and I can help you find the perfect solution for both function and style. Window treatments are that final finishing touch that can transform a room and home. I’ve used Smith & Noble exclusively in my own home(s) before being a part of the company, so I honestly stand behind the products and the options for color, texture, and material are endless. I know we can find the perfect solution for you and your home. Contact me directly at kfeece@smithnoble.com or 408.314.9996. 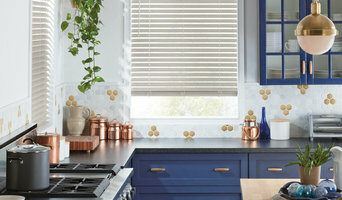 Viu Window and Home, Inc.
At Viu Window and Home, you’ll find more than just shutters & blinds. You’ll also find draperies, roman shades and custom storage solutions like closets, home offices or garage systems. We proudly serve Danville, Dublin, Livermore, Pleasanton, San Ramon, Castro Valley, Hayward & Oakland and the surrounding areas. Locally owned and operated we take our commitment to you seriously. Whether you need window coverings for a single window or have an entire home, Viu Window & Home has products to fit every lifestyle and budget. 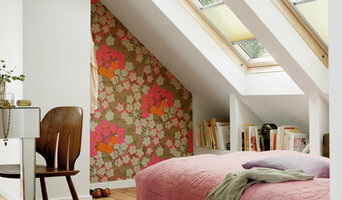 Most recently, we addeded to our family, Just Right Blinds & Shutters offering even more affordable products for you. Professionally trained, our designers will work with you to select the right window coverings or storage solutions for your home. We'll ask the "right" questions to ensure that we meet your needs perfectly, so at the end of the day, you’ll be glad that you chose Viu Window and Home. Before you sign on the dotted line, be sure to call us and see how we compare. Locally owned and operated in the Bay Area for 30 years. SLATS offers a wide variety of fashionable and functional window coverings. As an authorized Hunter Douglas dealer, SLATS provides innovative window dressings for every concern-lighting, privacy, energy efficiency, uses and ultrasonic cleaning system to maintain the longevity of your blinds. Contact us to find the right window coverings for your home or business and experience our award-winning customer service. 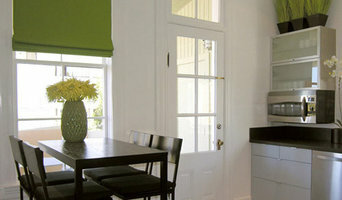 I love creating comfortable home environments that make great use of space and color. I have a strong understanding of what it takes to create a stylish and functional home. As an In-Home Designer with SMITH & NOBLE, I work closely with clients to transform their homes with customized window treatments. I know a lot about windows and I love to problem solve; nothing pleases me more than helping people land on the perfect solution for their space. I routinely seek out new design inspiration in magazines like Better Homes and Gardens and Architectural Digest, as well as through online forums like Pinterest and of course Houzz.